A friend just sent me this legend about Saint Valentine's Day. I hope that you enjoy it. Valentine's Day takes its name from a compassionate priest named Valentine who secretly performed weddings which had been outlawed at the time. When he was arrested for disobeying the law, Valentine showed compassion and love to his jailers and held true to his convictions and beliefs, even at the risk of death. Valentine's day was created to honor this strong and loving man who gave his heart and soul to others, by remembering what he taught us about love. Not just romance, but love and respect for ourselves and our beliefs, and love and compassion for others. Through genuineness your heart will be expanded and will reach out and uplift the world. Let your love be so deep that you honor yourself and the world by living a life of integrity. Love yourself unconditionally and the abundance of love in the Universe will become more visible in your day-to-day experiences, bringing greater levels of fulfillment in all aspects of your life. "In the beginning was the Word...the Word was life and that life was the light of men, a light that shines in the dark...The Word was the true light that enlightens all men, and the Word was coming into the world. 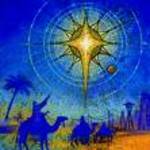 The Word pitched his tent among us...and we saw his glory...full of grace and truth."